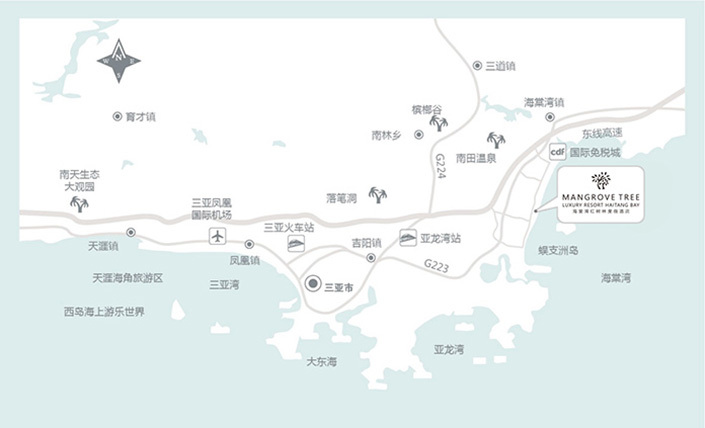 The Mangrove Sanya, a beach-front“Art Resort” is situated at the center of Haitang Bay. The main building with sailboat shape was designed by the same designer of Burj Al Arab in Dubai. 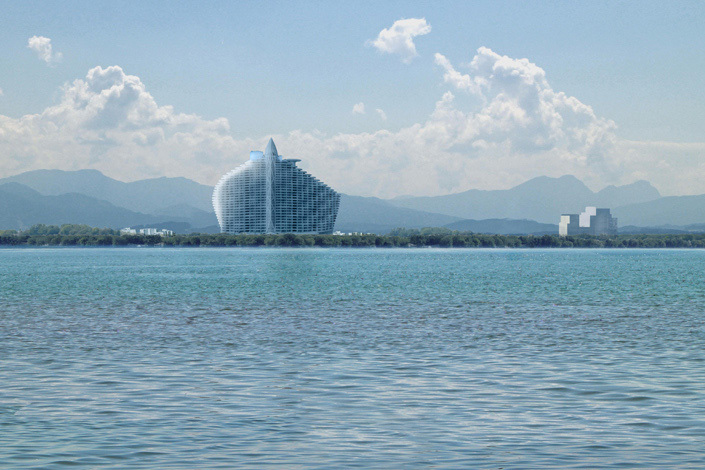 Resort with its stylish streamlined shape, amazing light show, ubiquitous indoor luxurious art objects, as well as its 820 meters long coastline which is the longest hotel coastline in Haitang Bay, is considered to be the“New Artistic Landmark of the National Coast in Sanya”. The resort has about 500 rooms and suites, including 29 luxurious sea-front villas, with 18 unique panoramic ocean view family duplex suites at the main building. The chic and elegant design of panoramic ocean view rooms provide the guests with the most luxurious lifestyle experience. 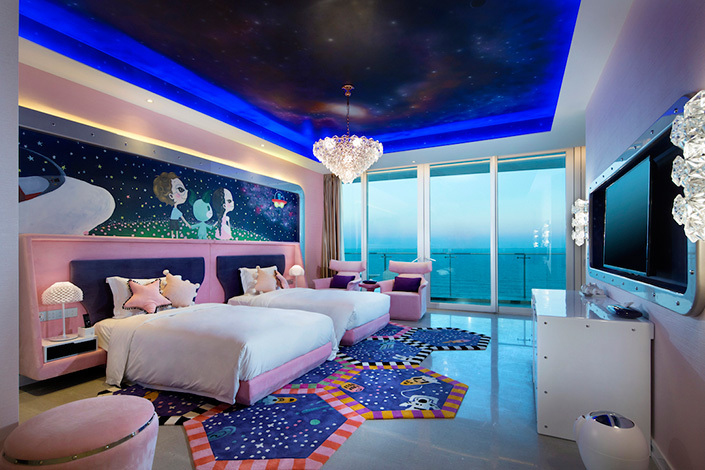 The Helipad on the 33rd floor will make it easy for the guests to get directly to their suite. In addition, the 24 hours butler service for Villas will ensure that our guests will have a unforgettable and private holiday as a VIP. With a total area of over 3,200 sqm, our conference and banquet hall can accommodate up to 1,450 guests. Furthermore, we are the only hotel in Haitang Bay that cars can be directly driven into the conference hall for the car shows and exhibitions. 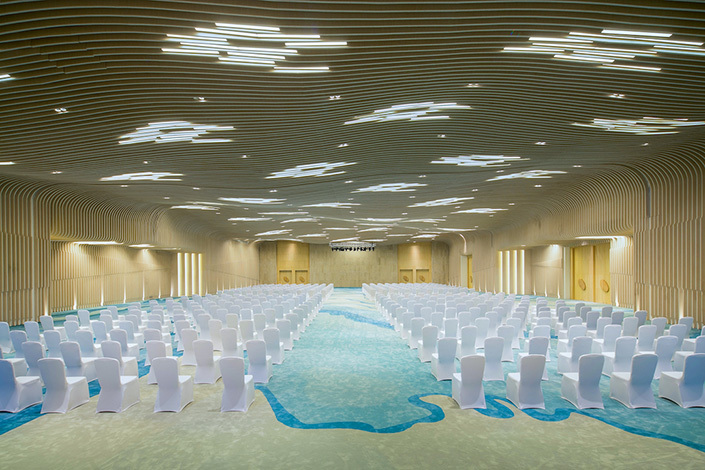 Our largest ballroom, Coral Reef, with an area of 1,836 sqm can be divided into 3 independent halls, based on the requirements of our guests. We have four function rooms, ranging from 100 to 165 sqm having an 800 sqm foyer. They are equipped with modern lighting system and the latest audio-visual facilities that can offer you an excellent experience for your various activities. In addition to above, the “Future Tower”, an outdoor venue surrounded by 6,800 sqm lawn with a magnificent light show is a perfect place for weddings, exhibitions, banquets, themed parties, etc.. The resort has six restaurants and bars featuring a variety of cuisines, including Hainan specialties, classical Cantonese gourmet, Southeastern Asian and Western foods, offering guests a pleasant seaside dining experience. Although all the restaurants are with the sea view, however our Chinese Restaurant has additional 13 private rooms with 180 degrees of sea view. Viva bar, located on the top floor of the main building, is the highest open-air bar in Hainan. 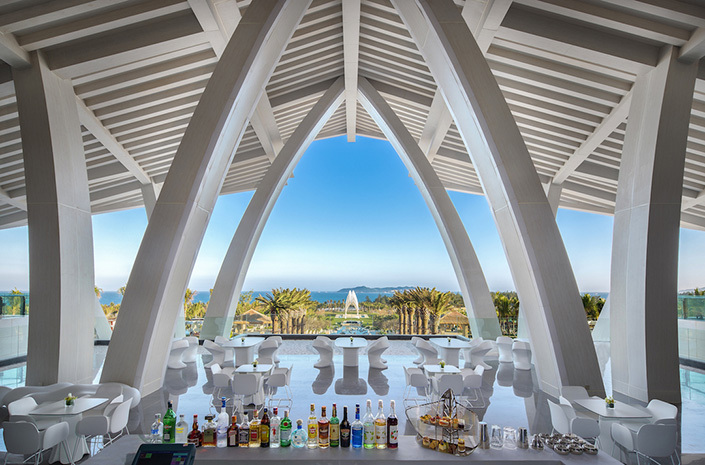 It is 126 meters above the ground and a perfect choice for your private gatherings, fashionable weddings and tailor-made events. Nine Swimming Pools of different sizes and themes, Kids Club, Fitness and Recreation Center, The Mangrove Spa with Thai therapists, Live Performances presented by the foreign artists, VR Games, Indoor and Outdoor Sports, etc.. They are customized for different requirements of our guests in order to make their stay with us fun-filled and joyful. Resort is 40 km away from Sanya Phoenix International Airport, 35 km from Sanya city center and 15 km from Yalong Bay Train Station.